Books, books, and more books! We love to read here and I'm always looking for stories to teach the kids lessons and get their attention with. I personally like to themed lunch readings with them, where I read 2 books with similar themes and then ask which is their favorite and why. It opens up a great meal time discussion! 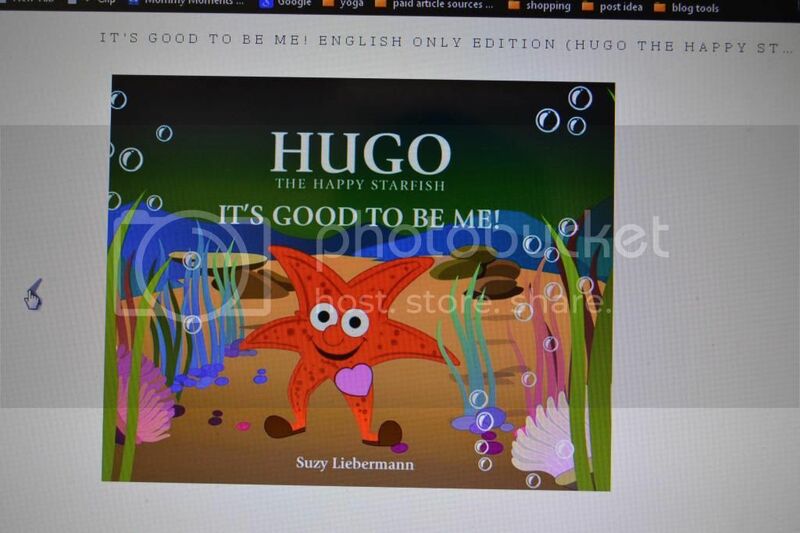 Mommy Moment's with Abby's review of Hugo the Happy Starfish: It's good to be me: This was a great story for the lunch hour. The images were colorful. The undersea characters kept the kids interesting. The story helped me express to them that they were made just as they were supposed to be made. It is important for kids to hear early on that trying to be like someone else doesn't improve who you are, it is best to work on who you are. Hugo goes through this lesson throughout this book. He gets more and more excited as he changes parts of himself to be like his friend. By wishing away parts of himself he takes on the characteristics of his friend. This however doesn't make him into his friend, instead it makes him ugly and awkward. Having to face this for Hugo, brought him to tears and the kids trying to tell Hugo to cheer up and not be sad. Hugo uses his last wish to be himself again and in doing so he allows himself to see that he needs to be himself. The kids loved the aspects of magic to this story. We talked about things they would wish for, unsurprisingly nuggets instead of veggies was a popular wish. They talked about how weird Hugo was making himself trying to be someone else. 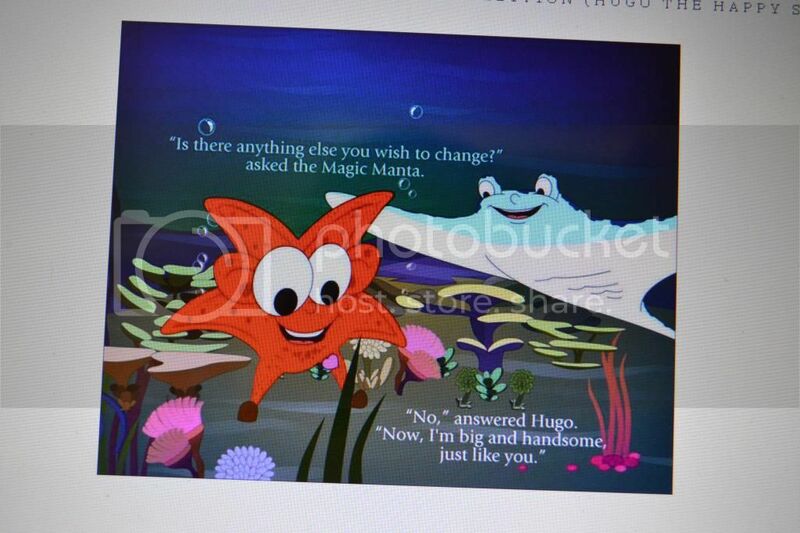 They also talked about the bright colors of Hugo and how cool they find Sting Ray. This is a great story of finding yourself and not trying to be another person. Hugo is a little starfish with a big heart. Every day he makes other creatures happy – and doing so makes Hugo happy. One day however, he begins to feel small and ugly, convinced that nobody likes him. When granted some magic wishes he decides to change a few things he doesn’t like about himself. Hugo learns a great lesson and once those changes are made he wishes he could be himself again. Join Hugo on his journey as he discovers that being himself is the best way to be – and the only way to be happy. IT’S GOOD TO BE ME! is a story about the importance of self-esteem when striving to be a happy and successful person. 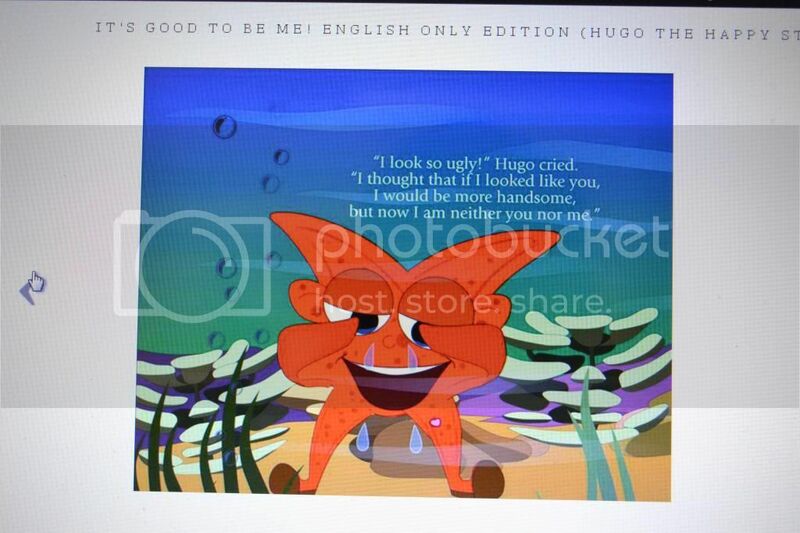 Hugo’s story is a good way to teach kids about having a healthy self-esteem and to be happy with the way they are. This book is a great way to teach APPRECIATION and the FIVE SENSES. Award-Winning Finalist in the CHILRDEN’S MIND/ BODY/ SPIRIT category of the USA “Best Books 2011” Awards. In Hugo, children, parents, and educators will discover a lovable and engaging role model with whom they can identify. Each book offers a themed vocabulary to introduce the Spanish language to the reader. Each book also comes with a number of worksheets which are downloadable at no cost on our website. We are sure you’ll agree that life skills and character traits are two of the most important lessons to teach the young. Age-appropriate children’s books are crucial to child development and well-written books that contain a message can expand not only a child’s cognitive abilities, but also their emotional, moral, and spiritual capacities. We believe this distinctive way of sharing a “message” through the medium of an exciting narrative is what has given the books their charm. The stories were developed in conjunction with my teaching experience at an International Baccalaureate® School and they support the different learner profiles and attitudes of the IB PYP curriculum.